Last spring, I went from working part time outside the home to being a full time stay-at-home mom but I didn’t always feel like I was spending much more quality time with my kids than when I worked. Sure, my children and I spent more time cleaning since we were actually home to make messes. I also continued to spend a lot of time meeting their basic day-to-day needs like schoolwork, making and eating meals, and dealing with behavioral issues. And, yes, that stuff really does count. But it wasn’t enough. As I thought about my days, I tried to figure out where I’d gone wrong and what I could possibly change. And while I’d heard all the advice about ignoring mom-guilt, I chose instead to listen to my instinct because I think guilt can sometimes be a good thing. I believe that healthy guilt can propel us to change. Some days I did really well, but as I listened to my guilt on my not-so-well days, I knew I felt guilty because I could have done better. I knew I’d disconnected from my kids for part of the day because being on the Internet was easier. I was aware the real reason I didn’t read to my four year old some days was because I didn’t want anyone else to know I’d wasted time online that day so I chose to rush through afternoon chores instead of snuggling up with a good book. But you know what? My kids knew. They knew why I didn’t always have time to take them outside to play. They knew why I wasn’t always listening when they spoke to me. They knew the real reason I sometimes served a frozen pizza for dinner instead of cooking something healthier. Maybe I could hide it from everyone else, but the ones who matter the most, the little souls I’ve been entrusted to raise, they knew. And I had two choices: I could either break free from the Internet now or I could one day regret that I hadn’t. So I got drastic.I unfriended every single one of my Facebook friends. I deleted over 25,000 e-mails. I unsubscribed to no less than four dozen e-mail lists. I started keeping my phone on the charger again instead of in my pocket. I told my children I was sorry. I asked their forgiveness. I started choosing to stay connected even when it was tough. 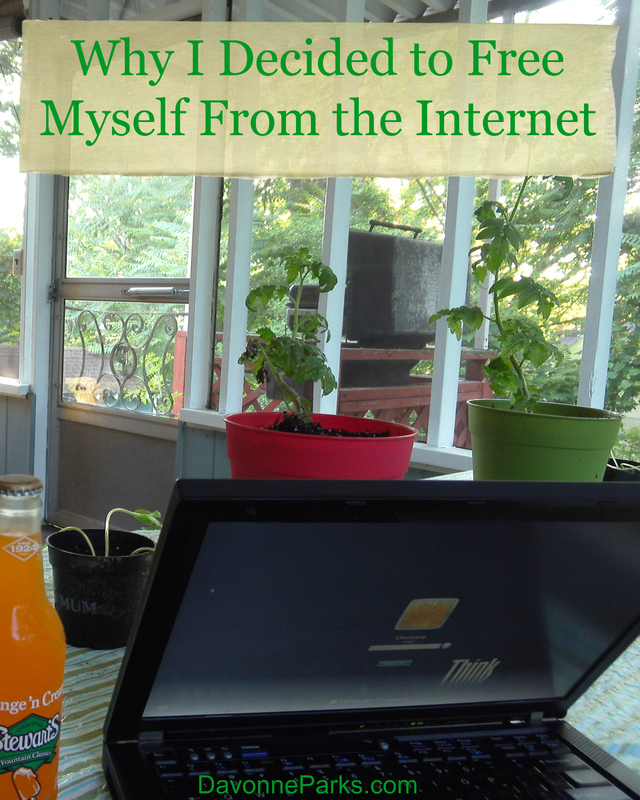 Instead of escaping to an online world, I struggled and fought to stay focused on my own life. Reading an entire stack of books to my four year old in one sitting. Listening better to my eight year old. Playing outside and visiting the library more often. Training my children with more grace and diligence. Welcoming friends into my home. Spending more time with my husband each evening. Joyfully organizing a few neglected areas. It’s been a difficult fight and while I am completely positive that I still don’t have it perfectly correct, I have come a long way. I finally understand that, regardless of the struggle, overcoming is more than worth every second of the battle. And the freedom is incredible.